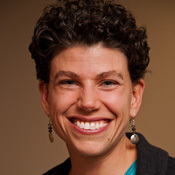 We are thrilled to announce the release of a new book from Anneke Markholt, Joanna Michelson and Stephen Fink of the University of Washington Center for Educational Leadership. 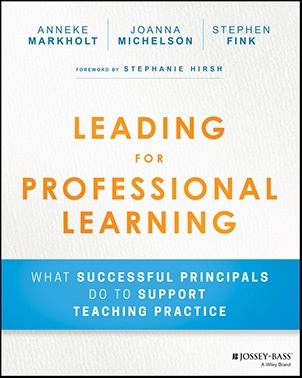 Leading for Professional Learning offers field-tested guidance to help school leaders more effectively support teachers’ professional development. Leadership is crucial to professional learning, providing the necessary systems and structures that enable teachers to improve their own practice and in turn, improve student learning. With an illustrative case study, this book provides invaluable guidance, packed with practical tools, processes, and expert advice. Over the last five years, school districts across the country have used the Center for Educational Leadership’s (CEL) 5D+ Rubric to build evaluation systems that help teachers grow and improve instruction. 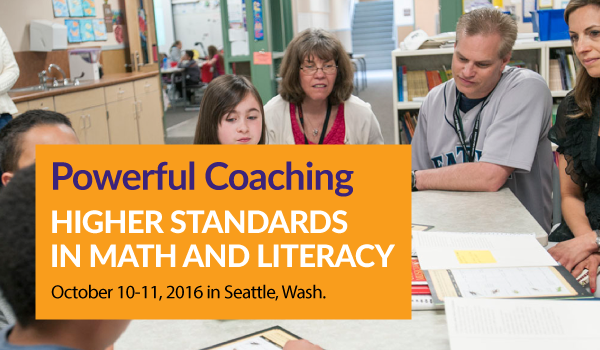 Center for Educational Leadership videos take educators into real classrooms to observe and analyze the complex practice of teaching. 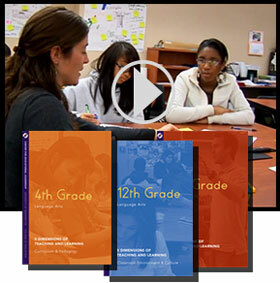 These videos are designed to help school districts facilitate the development of a common language and vision around high-quality classroom instruction using their instructional framework as the lens. Each video is accompanied by a set of guiding questions, based on CEL’s 5 Dimensions of Teaching and Learning™ instructional framework, which can be used to facilitate individual and group learning. Purchase CEL classroom instruction DVDs while supplies last. Beginning with the 2017 school year, the State of Washington Office of Superintendent of Public Instruction (OSPI) requires that all Washington districts currently using the 5D+ Rubric transition to version 3 of the rubric: the 5D+ Rubric for Instructional Growth and Teacher Evaluation. 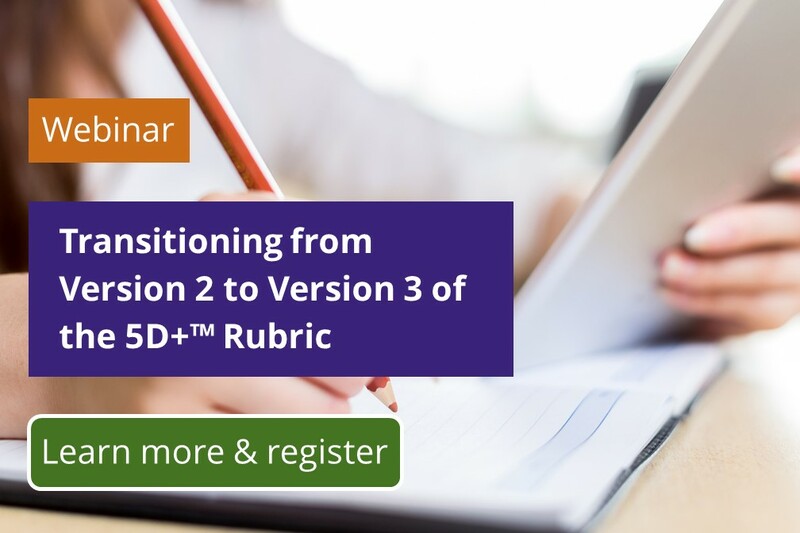 The Center for Educational Leadership's (CEL) 5D+ Rubric Transition Training helps principals, central office leaders and teachers recalibrate their understanding of the teaching and learning practices described by each indicator, transitioning from version 2 to version 3 of the 5D+ Rubric. Want to become an expert school leader? Ask more questions. Why should you be stuck without a bed if I’ve got an extra air mattress? Today, the answer to this question is worth $30 billion. The meteoric rise of home-sharing site AirBnB is driven by many factors, but it started with the founders Joe Gebbia and Brian Chesky asking a series of questions that helped them uncover new opportunities. In A More Beautiful Question: The Power of Inquiry to Spark Breakthrough Ideas, Warren Berger takes an in-depth look at how asking ‘why’, ‘what if’ and ‘how’ drove the early success of famous tech start-ups like AirBnb or Netflix. His insight: We are all born with a billion-dollar app — our aptitude to ask questions. Improving teaching and learning is a complex task. Shifts in instructional models, new standards and a lack of time drive educators and school districts to find new ways to help teachers grow their practice. 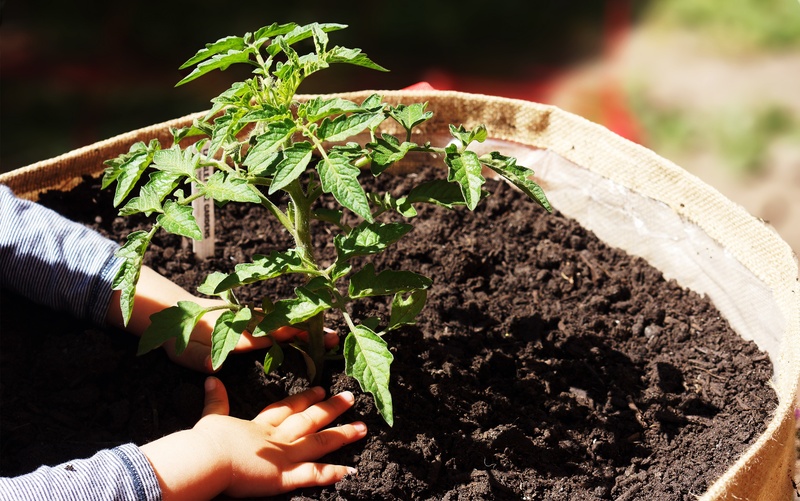 Rebekah Kim, principal of Midway Elementary School in the Highline Public Schools district in Burien, Wash., faced a similar challenge: How to maintain the sacredness of her time with teachers, while providing meaningful, personalized feedback to grow teaching practice. From content expert to facilitator of student-centered teacher teams — coaches take on many different roles in districts. Regardless of the role, the research is clear: coaches have a powerful impact on teacher practice, and professional development greatly helps them maximize their role. Strong literacy skills are a key factor for a student's educational achievement and career. 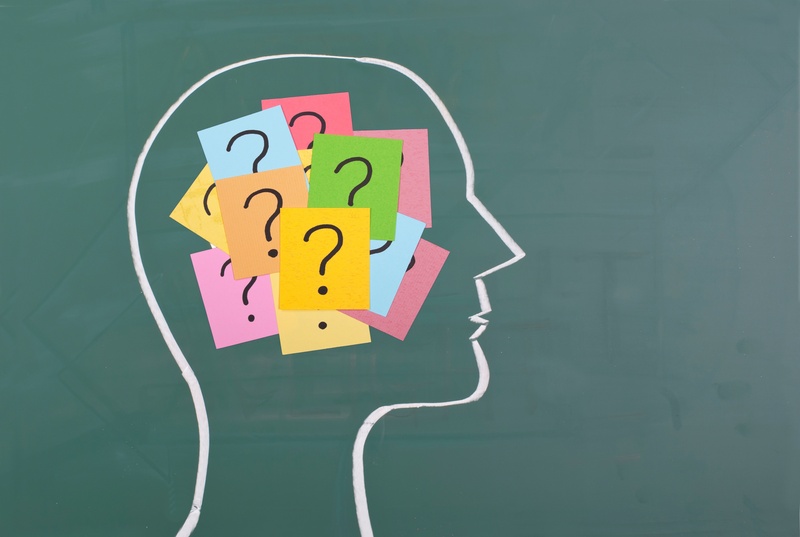 But while the debate around higher academic standards has sharpened national focus on the reading of complex, discipline-specific informational texts, educators have been grappling with how to help content-area teachers support student literacy for decades. Traditionally, content-area focused teachers, particularly in middle or high school, have not been trained to teach students how to access rigorous texts, including which disciplinary-specific strategies to use, how to break down and think about disciplinary text, or how to grapple with difficult questions while reading closely. To address this challenge, Wyoming's Uinta County School District #1 is engaging in long-term, comprehensive literacy-focused professional learning in social studies, science, and vocational education. In education policy — as in life — there are few second chances. So it’s exciting to see that as a result of the Every Student Succeeds Act (ESSA), teacher evaluation seems to have gotten one of these rare opportunities to reassess and change course. ESSA hands more policymaking power to states and districts. States will have complete control over teacher evaluations and more power over how test scores and other factors figure into accountability. In fact, state legislatures have already started to change assessment and accountability requirements. So how should we use this second chance to design a teacher evaluation system with the right priorities that helps both students and teachers reach higher levels? The short answer is: with a focus on growth. Strong instructional practitioners are constantly reflecting on their practice, grounding their practice in research, and working to improve and streamline their practice to be more effective in their impact on student learning. 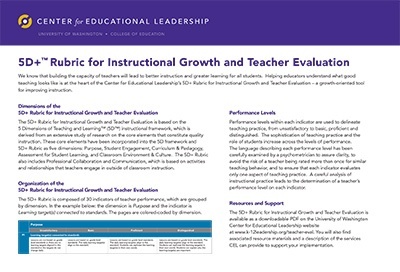 Following this spirit of instructional innovation and learning, the University of Washington Center for Educational Leadership (CEL) has released an updated version of the 5D+ Rubric for Instructional Growth and Teacher Evaluation. 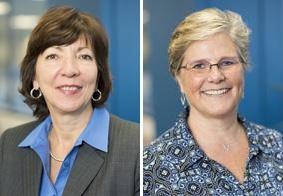 As a research institution, CEL learns from district partners and revises its work based upon that learning. While version 2 of the 5D+ Rubric is a sound and complete evaluation and growth tool, the new version 3 is clearer, more concise and easier to use for teachers and principals.